Reliant Man has shown a lot of improvement. The last time we checked in with him, he was doing great work! 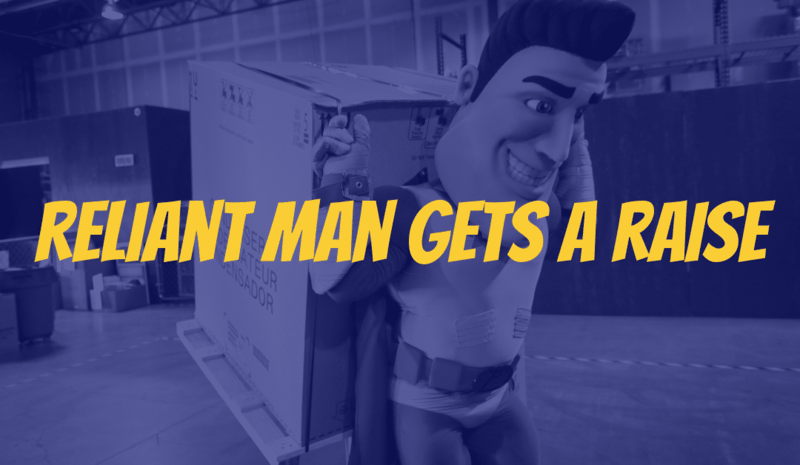 Take a look at this video for the latest update on Reliant Man. Reliant Man and his team of “super” techs are ready to serve you. Here in Texas, comfort is everything, and Reliant Air Conditioning has proudly provided the Dallas-Fort Worth area with gimmick-free heating and air conditioning repair service and installation since 1983. Whether you need HVAC repair, maintenance, replacement, or installation – our professionally-trained technicians provide the expert service and peace of mind that our customers and their families deserve. Give us a call today!